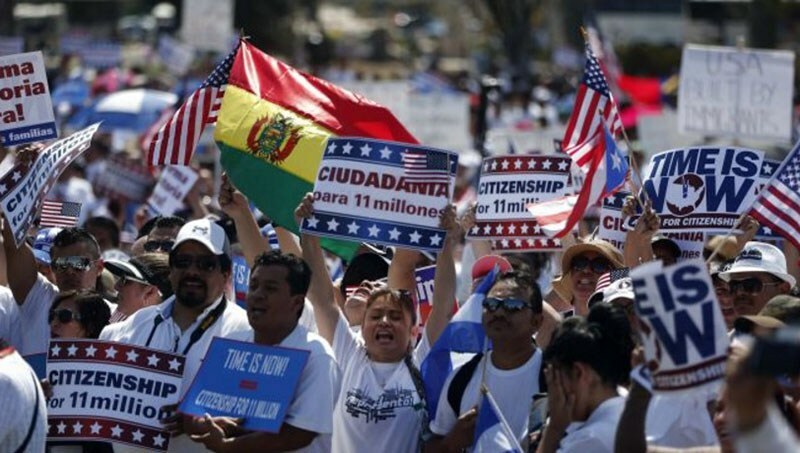 US: 1.5 Million Immigrants Every Year – Forza Nuova U.S.A. In excess of 1.5 million Third World immigrants—legal and illegal—have entered the US each year for the past two years, a new report by the Center for Immigration Studies (CIS) has found. 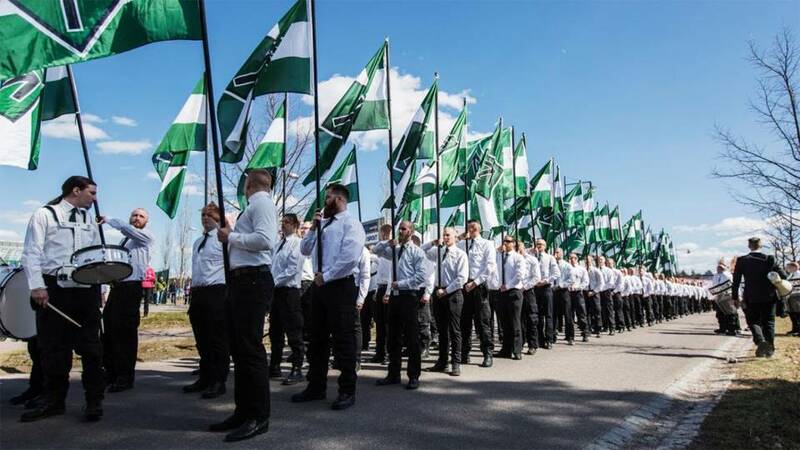 The nonwhites are now pouring in from all over the Third World, including Latin America—particularly countries other than Mexico; South Asia (Pakistan and India); and East Asia (China and Vietnam), the report said. The 3.1 million new immigrants (legal and illegal) settled in the US in 2014 and 2015, or more than 1.5 million annually. In 2012 and 2013, 2.3 million immigrants arrived, about 1.1 million annually. In 2010 and 2011, 2.1 million new immigrants arrived, about one million annually. The big increase in new arrivals in the last two years was driven by a rise in immigration from Latin America, particularly countries other than Mexico; South Asia (e.g. Pakistan and India); and East Asia (e.g. China and Vietnam). The CIS’s preliminary estimate is that, of the 3.1 million immigrants who arrived in that last two years, about one-third, 1.1 million (or 550,000 annually) were new illegal immigrants, a significant increase from the 700,000 illegal immigrants (350,000 annually) who entered in 2012 and 2013. The above estimate of illegal immigration represents the flow of new illegal aliens surreptitiously crossing the border, overstaying a temporary visa, or released into the country after a short detention, such as families from Central America. The numbers do not represent the net increase in the total illegal immigrant population. The available evidence also indicates that the number of new legal immigrants, both temporary and permanent, arriving from abroad has increased. The CIS’s best estimate is that the arrival of legal immigrants increased about 30 percent, from 1.6 million in 2012–2013 to two million in 2014–2015. “It is certainly reasonable to argue that with more than half a million new illegal immigrants settling in the country each year, the United States does not have control over the problem,” the report continued. At the same time as illegal immigration has increased, the number of new permanent legal visas issued overseas and long-term temporary immigration (e.g. guest workers and foreign students) have also increased somewhat. The CIS estimated that 2.03 million new legal immigrants entered in 2013 and 2014, compared to 1.6 million in 2012 and 2013. “The latest Census Bureau data shows that the scale of new immigration is clearly enormous,” the report said in its conclusion. “The numbers raise profound questions about assimilation and the impact of immigration on the nation’s education system, infrastructure, and labor market, as well as the size and density of the U.S. population.